A person with a brain injury will be taken the to the nearest emergency department, where a doctor will undertake an assessment. There may of course be other injuries which need medical attention, for example, if a person has had an accident, if so, the injuries will be prioritised. As a relative it can be a confusing time and it make take some time before someone is able to speak to you. It is important that you stay calm – it is also helpful if you can have someone with you and/or write down what the doctors tell you. After an initial assessment, the patient may be transferred to the neurosurgical unit. This is to assist with obtaining a better understanding of the brain injury, the possible effects and what treatment is needed. 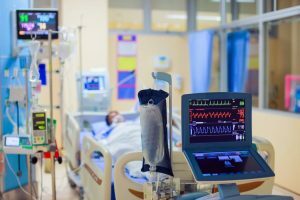 For severe injuries a patient may be taken to an intensive care unit (ICU) or neurological high dependency unit (HDU). Within these units there are highly trained staff who use specialised equipment to assess and treat the injuries. Care is also give 24 hours a day. GCS is the most widely used scoring system used to assess the level of severity of a brain injury. This method is based on the objective observations of specific traits to determine the severity of a brain injury. It is based on three traits eye opening, verbal response and motor response. Based on the GCS severity is classified as follows, severe brain injuries score 3-8, moderate brain injuries score 9-13 and mild score 14-15. 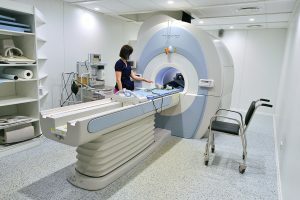 There are several imaging techniques that can aid in diagnosing and assessing the extent of brain damage, such as computed tomography (CT) scan, magnetic resonance imaging (MRI), diffusion tensor imaging (DTI) and magnetic resonance spectroscopy (MRS), positron emission tomography (PET), single-photon emission tomography (SPECT). CT scans and MRI are the two techniques widely used and are most effective. CT scans can show brain bleeds, fractures of the skull, fluid build up in the brain that will lead to increased cranial pressure. MRI is able to detect smaller injuries, detect damage within the brain, diffuse axonal injury, injuries to the brainstem, posterior fossa, and subtemporal and subfrontal regions. However, patients with pacemakers, metallic implants, or other metal within their bodies are unable to have an MRI done. Typically, the other imaging techniques are not used in a clinical setting because of the cost, lack of availability. What does a MRI of the brain show? An MRI uses magnetic fields and radio waves to take pictures of the inside of your body. This test helps doctors and other medical staff see normal and abnormal areas of the brain. An MRI can show how and where blood is flowing in your brain. Below shows the MRI of a stroke.